Sold for $668,000 Sold by GA Horse Farms! Horse Ready on 10 acres! At the end of a quiet street, you'll find this charming Cape Code style home with wrap porch, granite kitchen, new carpeting, finished basement, master suite on main. 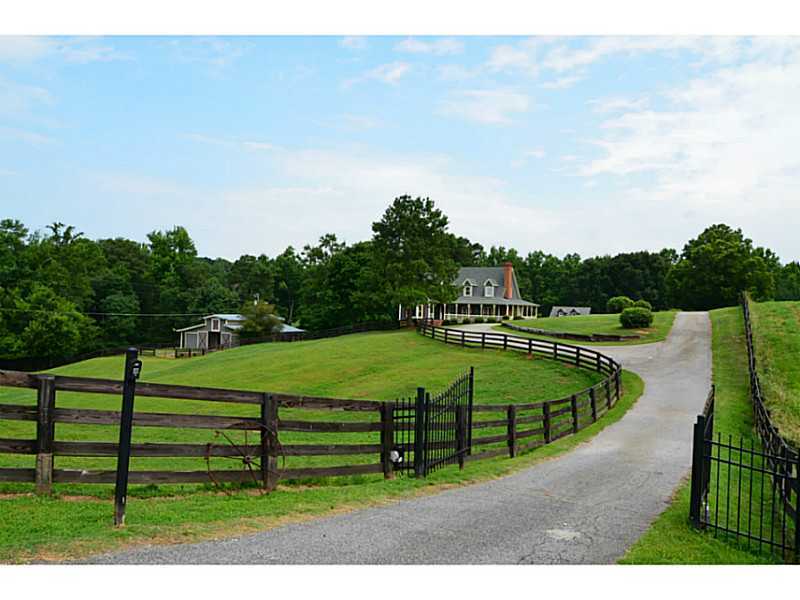 6 stall barn with tack and feed room, fenced pastures, riding ring and round pen. Beautiful views. Lake frontage. Cozy guest house. Storage and outbuildings. Fantastic area, very close to Milton and just 20 min to GA400 at Windward. Excellent Creekview school dist.